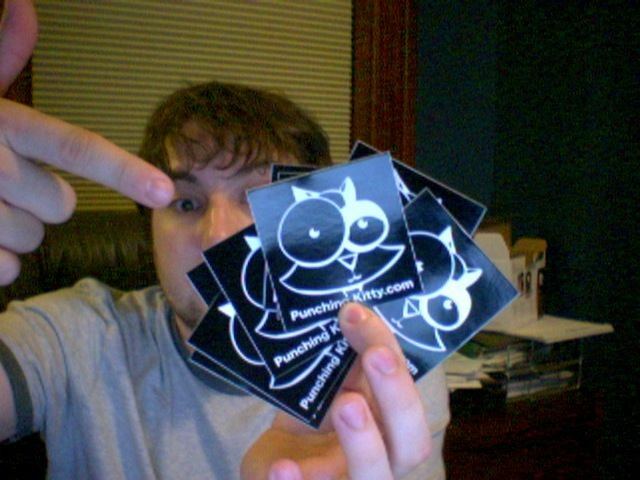 Our illustrious Editor will be a judge at the Luna Lounge’s bikini contest this Saturday at 3pm, so if ya got nothing going on, come on out ($5 cover), check out some ladies in bikinis and get yourself a new Punching Kitty sticker (shown below). The Luna Lounge is located on Gravois just south of Chippewa (full directions). If you stop by, find us and say hello!